Spring, Summer, Fall, Winter. Food, food and more food. Bottomless stomaches make it hard to stop eating (even with non-bottomless stomaches). And so I decided to document a 5 to 6 day food journal (breakfast, lunch, dinner and snacks; it was a no-meat week for me; I’m still at it!). I have not converted into a vegetarian or vegan (for reasons that I will not mention). It’s interesting (to me) when I think about the diet (or habit) I’m trying to get myself in eating. Coming from a Chinese family and the amount of meat, processed food and other foods that are used in cooking, it was a tough week for me. 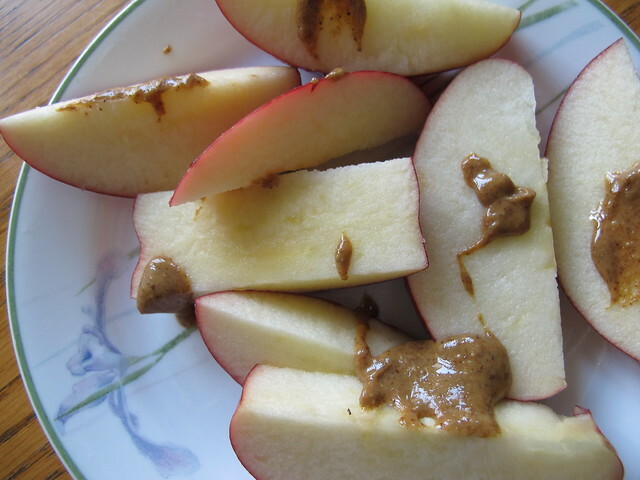 I had to come up with breakfast, lunch and dinner ideas (kindly, with the help of Pinterest). I actually did not eat anything that the rest of my family ate for those days. And I kind of liked it. It was pretty tempting for me to resist the pan seared pork chops dad made and the quail-rice pot that mom made. 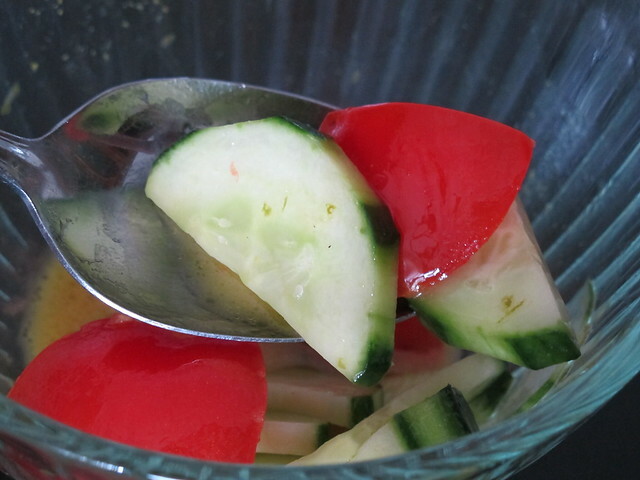 Sticking with my simple and colourful fruits and vegetables, I think I did a pretty good job. 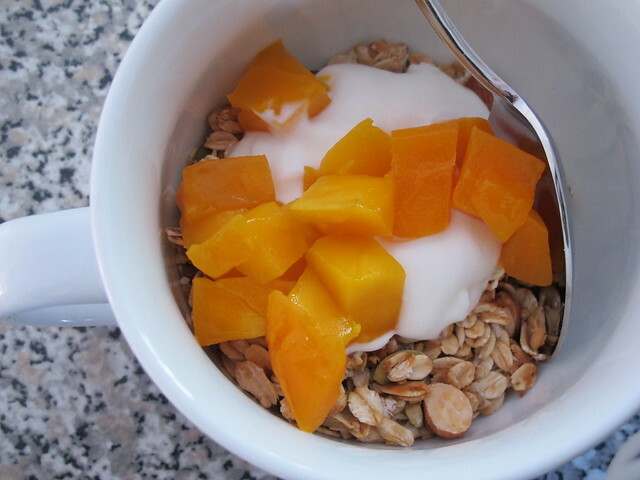 I prepared granola (entry here), salads and bean dishes that lasted me more than enough to eat during the week. Breakfast, lunch and dinner was pretty much the same; granola with yogurt and fruits, cabbage slaw, (recipes to follow), smoothies and cut fruit with peanut/ almond butter. 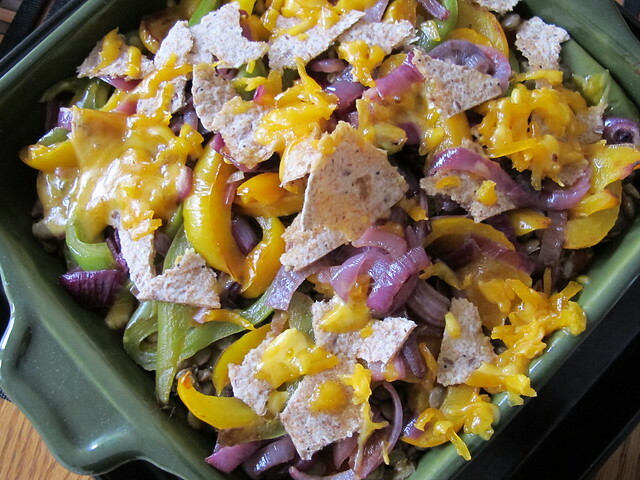 This Mexican lasagna (inspired by Pinch of Yum, Healthy Mexican Casserole with Roasted Corn and Peppers) is exactly like a lasagna but using sauteed bell peppers, onions, chili powder, tortillas and cheese (this was my dinner and lunch the following day). 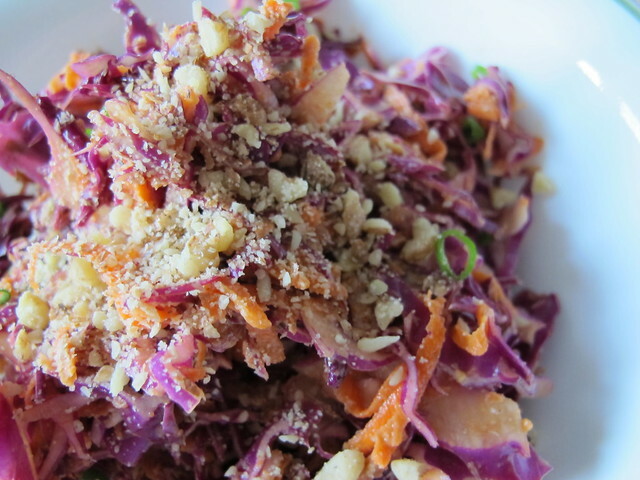 This Peanut-Sesame Slaw (via Pinterest) provided lunch and dinner for several days. It was amazingly tasty, considering it (mainly) only had cabbage and carrots. I’m (kinda) addicted to the dressing, which included peanut butter, tarmari sauce, sesame oil, white wine vinegar and ginger (I left some ingredients out). I don’t know what to call this dish, it’s a combination of two recipes I found online (via Pinterest; here and here). 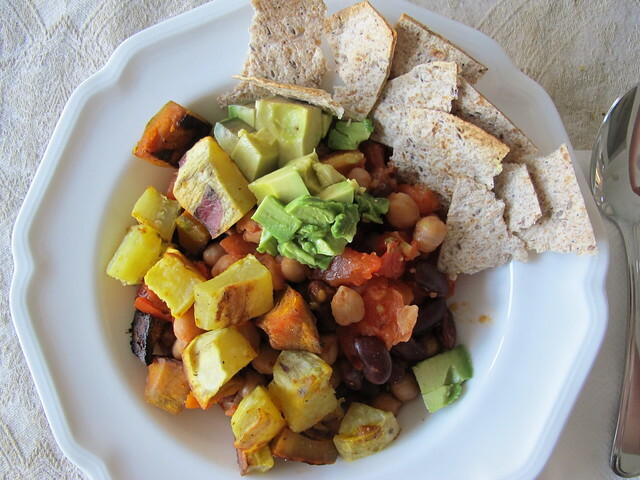 Having read the recipes, several times, I decided to simply life and cook with the main ingredients; sweet potato, squash, beans and tomato. 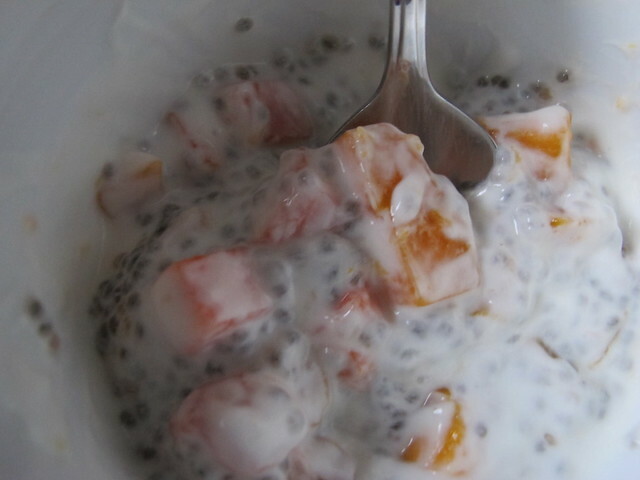 I also researched about making chia seed pudding (and I guess it’s the thing now to include in a health diet). It was pretty easy, just combine three tablespoons of chia seeds and one cup of almond milk (there are different recipes via Pinterest) and volia! I saw my cousins after I finished a week of this diet. Some were quite surprised that I had been on this. I found it (somewhat) shocking that they were amazed at me and all this. Personally I haven’t thought about how long I’ll be keeping this up, I’m taking it week by week. As I mentioned before, I’m, not calling/ turning myself vegan and or vegetarian. I’m treating it like a cleanse (if that makes any sense). But I’ll definitely post updates on this new adventure of mine.